Nelson Ireson June 30, 2011 Comment Now! 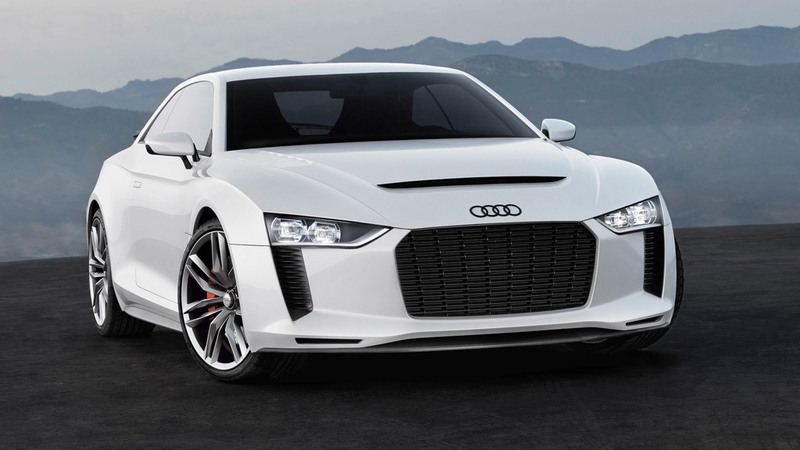 Roaring around with 408 horsepower, all-wheel drive, and two doors, the Audi Quattro Concept has already been tipped for production. The green light could come as early as this summer. According to Inside Line, the bosses at Quattro are "optimistic" about the car's chances. If it does get the official go-ahead, it'll still take two or three years to reach production form, however, meaning a debut in mid-2013 or 2014 at the earliest. Oddly, the report also says the Quattro's engine will be RS5-based, and that it will also have to be mounted longitudinally in the Quattro's chassis, as opposed to the transverse orientation it sees in the R8 and RS5--except it's mounted longitudinally in both the RS5 and R8. The RS5's 4.2-liter V-8 puts out a heady 444-horsepower, about 36 more than the Quattro Concept's turbo five--but the Quattro would get even more power. Regardless of the powertrain confusion, the goal of keeping the Quattro light (by modern standards) remains intact. 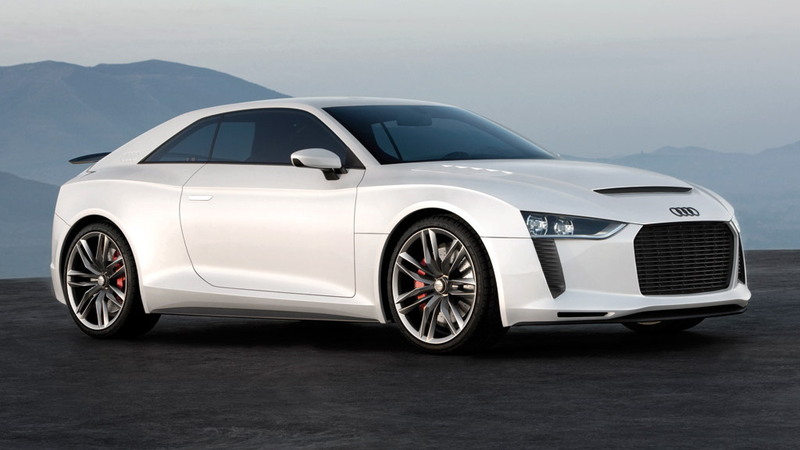 The 3,086-pound goal weight will require exotic materials (read: lots of carbon fiber and aluminum), resulting in an accordingly high price and low sales total, but Audi sees it as a way to express its commitment to "'ultra' lightweight technologies," according to Quattro boss Stephan Reil. 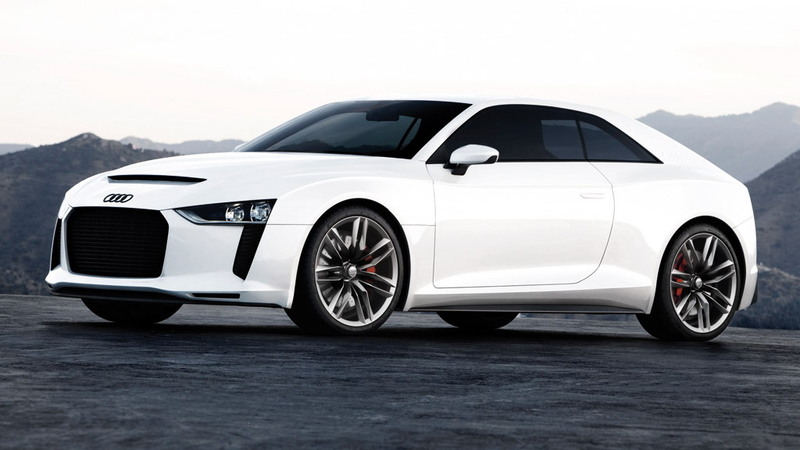 For the full details on the Quattro Concept, check out our preview.